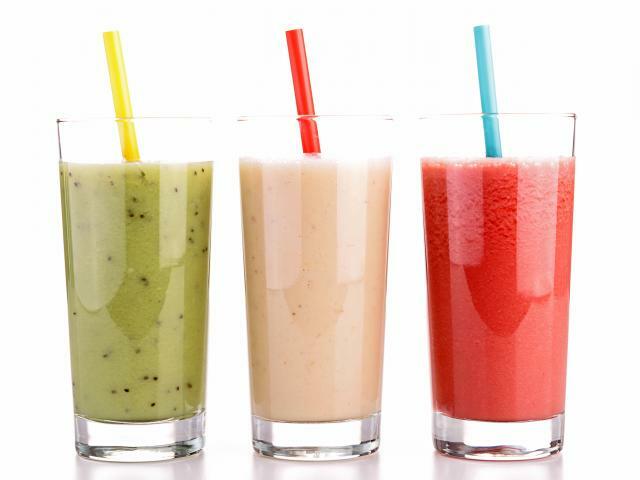 Juices & Smoothies: Health Haven or Sugar Laden? Most of the patients I see have recovered from heart attacks and have a renewed sense of health and a strong motivation for healthy lifestyle changes. By the time I see them, they have often tried out some of their own ideas already. One of the most prevalent ideas I get asked about is juices and smoothies. You’ve probably seen some of the headlines, heard about the benefits and maybe delved into your own juicing experiments. While I love my patients’ determination for change and good health, we need to balance some of these ideas and headlines with evidence and some common sense. So, what’s the truth behind juicing and smoothies? Can we really juice our way to better health? The perceived benefits are great – convenient, good way to hydrate, great vehicle to pack in a ton of fruit and veggies in amounts you could never possibly eat, nutrient dense packed full of nutrients, antioxidants, vitamins and minerals. Take a vegetable smoothie, for example, it can be a rich source of blood pressure-lowering potassium. Study after study have shown improved health with increased intake of fruit and vegetables. In the Nurses’ Health and Health Professionals studies, researchers concluded that vegetables and fruit were associated with a lower risk of heart disease. Seems like a no-brainer, right? One of the health concerns they refer to is heart disease, a relative newcomer to the sugar game. In fact, researchers over the last decade have begun uncovering more relationships between high sugar intake and heart disease risk, specifically related to consumption of sugary drinks. Depending on the size of your smoothie or juice, you may be drinking the equivalent amount of sugar found in as many as 5 or 6 pieces of fruit or a large cola! Would you sit down to that much fruit in one sitting? Probably not. This brings up issue #2: portion size. With all these fancy juicers and blenders out there, it’s easy to whip up a batch of liquid produce in large amounts. Large amounts may = higher calories. Once you add your Greek yogurt, protein powder or coconut milk, you’ve added to the already potentially high calorie count. Fruit juice as it concerns children has been a targeted issue with many nutrition policymakers. That is, if kids are drinking most of their fluids as juice vs. water, for example, there is a real concern that they will consume more calories than they need setting them up for weight gain and risk for obesity in the future. Studies have shown that if kids are given 100% fruit juice it is not necessarily related to weight gain as long as it is consumed in appropriate amounts for age and energy needs. Notice the key words: appropriate amounts. Did you know that according to the American Academy of Pediatrics , juice is NOT recommended for kids under the age of 6 months, then only 4-6 oz (½ to ¾ cup) per day for children aged 1-6 years? In Canada, the recommendation for young children is similar. Starting kids off with healthy habits like drinking water first and focusing on eating fruit instead of always drinking it sets them up for future good habits. The next concern for me is whether a smoothie is a replacement for your intake of fruit and vegetables every day. I know for a number of people who struggle to eat fruit and vegetables because of dislikes or texture issues, smoothies and juices can be a vehicle to reap some of the benefits they may otherwise be missing. For the rest of us, it can be a quick way to drink the recommended servings of veggies and fruit. But, is it really the best idea to follow daily? I say, no. When we juice and blend, we are essentially breaking down the valuable fibre. While the vitamins, minerals and antioxidant properties are essentially intact – the fibre is not. That is, it’s not going to fill you up in the same way as eating those same veggies and fruit. In one 2011 study, study subjects were fed one of two breakfasts, both containing the same amount of fibre and calories. The difference was that one breakfast was liquid (juice + fibre) and one was solid (oatmeal + fruit). A measure of satiety or fullness is gastric emptying time, or how long it takes the food to exit the stomach. The oatmeal breakfast’s emptying time was one hour longer than the liquid juice breakfast and subjects rated themselves as fuller, even though the juice had added fibre. Don’t get me wrong, I have no issue with smoothies or juices as long as they’re not in a large amount on a daily basis (with exceptions for those especially crazy days when you’re dashing out the door). Alternatively, as a good friend pointed out, juicing provided her with the visual cue to stay on target with her healthy eating habits over the day and the week ahead. I love this idea so much! Keeping your smoothies and juices in moderation in the amount of fruit used, how often you drink them in a week, and being mindful of your portion size can make all the difference in whether they work with you or against you. Next Next post: Carbs: Friend or Foe? Wow! So delicious, thank you for sharing your ideas. I’m so excited to make this delicious and healthy drink. Good day!